Free online CORE Hunter Education resources and study guide. Free online resources and study materials to help you prepare for your CORE Hunter Education Course. No need to print the manual or bring the manual to your course with BC Firearms Academy. After you sign up and are logged into your account, return to the course page. Once back on the course page you will see that the topics are unlocked and you will be able to open up each subject under the “CURRICULUM” heading. The course material opens up by clicking the triangle next to the topic you wish to study. The goal of the online Hunter Education Program is to produce hunters who are safe, knowledgeable, responsible, and involved. Hunter Education training also helps prevent hunting accidents and improves hunter compliance with BC Laws and behaviour. 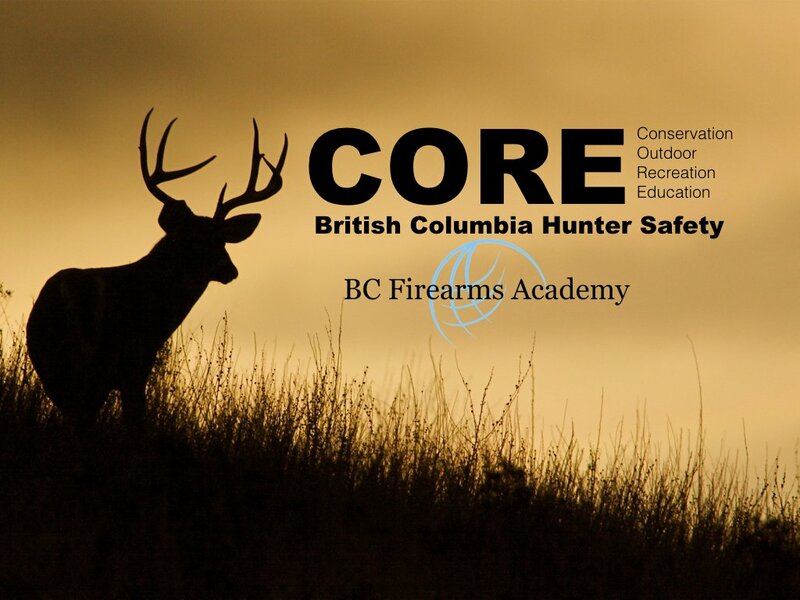 This online course, coupled with the knowledge of BC Firearms Academy instructors and your participation will result in an appreciation of hunting, safe firearm use and a code of ethics that you and all hunters can be proud of. This quiz will review the free content and provide examples of the types of questions you will receive during your in-person testing for your Canadian Firearms Safety Course. Projectile Quiz – Can You Name These Bullets? Actions Quiz – Can You Name These 9 Non-Restricted & Restricted Actions? Great way to study for your CORE exam. I took the firearms safety course with Eric and had a great time. I wish I was able to make the time to take the CORE with him but life gets in the way and I needed to get this done before the LEH draw. I studied the flashcards and quizzes, then revied the full online course. I ended up with 72 out of 75 on my exam. Thanks for everything and hope to see you again. Eric was a great teacher for my kids 10 and 12. kids really had fun in class and all communications with BCFA was fast, friendly and professional. I have another daughter ready to take the test in two years. Will defiantly be using BC firearms academy. Instruction A free online study guide. Checkout through the shopping cart to unlock this free course. Click "JOIN NOW" on the yellow box to unlock the free content. Be sure to create an account. When you scroll down on the course page the "Online Courses", will be unlocked and you'll be on your way!